Low core loss high permeability CRGO silicon steel with grades 23ZDMH85,23ZH90,23ZH100 etc. 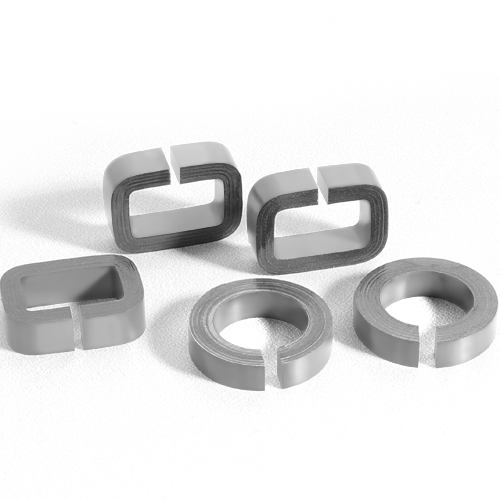 Cores wound with independent developed winding machine, high vacuum heat treated, make a gap of 0.20-12mm on the closed magnetic path, in rectangular or toroidal shape, perfect appearance, accurate dimension, consistent performance, low magnetic remanence. Inductor, power sensor, transducer, current transformer, hall effect transformer, lntegrated linear Hall sensor, magnetic diodes, magnetic triode. Low measurement error, high accuracy.